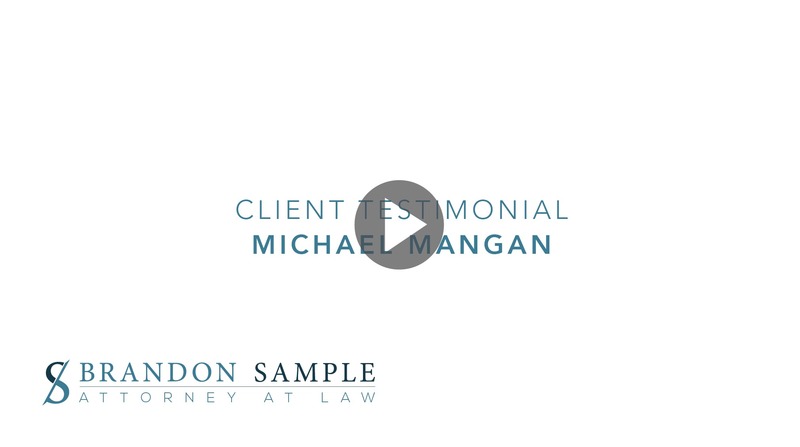 Michael Mangan hired attorney Brandon Sample to assist him with a 28 U.S.C. § 2255 motion after Michael had originally sought § 2255 relief himself. Brandon prepared and submitted an amended § 2255 motion which argued that the sentence imposed breached Michael's plea agreement or, in the alternative, Michael's sentencing attorney was ineffective for failing to object to the Government's breach of the plea agreement. After a vigorous battle with the prosecutor, the judge granted Michael's § 2255 motion. The judge agreed with Brandon that the sentence imposed was inconsistent with Michael's plea agreement. You can read a copy of the judge's order here. And be sure to check out Michael's testimonial about Brandon's hard work in Michael's case. Troy Coleman hired Brandon Sample to assist him with a 28 U.S.C. § 2255 motion after his appellate attorney abandoned him on appeal. Brandon prepared a thorough § 2255 motion arguing that Troy was entitled to a new appeal because of his attorney's conduct in handling his appeal. A federal judge granted Troy's § 2255 motion, agreeing with Brandon that Troy's attorney had abandoned him on appeal. 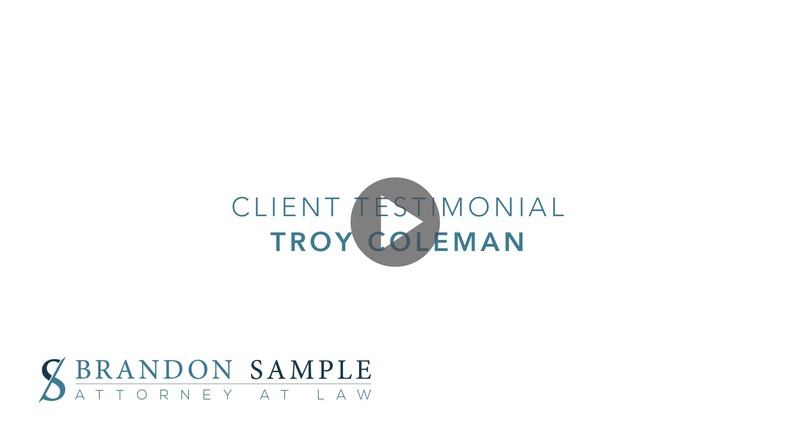 For relief, the court ordered that Troy be given the opportunity to take a new appeal. Check out the judge's order granting Troy 28 U.S.C. § 2255 relief, and listen to Troy's comments about the quality of representation that Brandon provided to him. Eddie Cox was sentenced to life imprisonment in the early 1990s. For nearly three decades, Eddie tried to overturn his life sentences without success. In October 2017, Eddie's life sentences were finally overturned by a federal judge in the Central District of Illinois with Brandon's assistance. Brandon helped craft novel 28 U.S.C. § 2241 arguments concerning the application the "savings clause" to Eddie's case which prompted the judge to agree that not only could Eddie challenge his sentence via a § 2241 petition--Eddie was entitled to § 2241 relief because he was no longer eligible for the life sentences. You can read the judge's order granting Eddie relief from his life sentences, and are encouraged to listen to Eddie's testimonial about the quality of help he received from Brandon. This testimonial is provided by the daughter of Guidel Moscoso-Pinto. Brandon represented Guidel at sentencing in Philadelphia before U.S. District Judge John Padova. Brandon helped Guidel receive an over 50 percent variance below what the advisory sentencing guidelines called for in the case. The final sentence was 21 months, which amounts to a little less than 18 months after credit for good time. Look over Brandon's sentencing memorandum in Guidel's case. This sentencing memorandum provides a model example of what should be provided to the court before sentencing in a federal case. Please also listen to the testimonial provided by Guidel's daughter about Brandon's handling of Guidel's case. Kinard hired Brandon to assist him with a Federal Bureau of Prisons jail credit issue. The BOP denied Kinard years of credit that he was entitled to under the so-called "Willis Credit" rule. After months of investigation, and significant back and forth between between a state lawyer and state court clerk, Brandon was able to help obtain a court order that clarified Kinard's prior state sentence. Based on the clarification that was granted in Kinard's state case, the BOP recalculated Kinard's federal sentence. After recalculation, Kinard received years of additional credit off of his federal sentence. Check out the testimonial provided by Kinard about how Brandon was able to help him. Daniel Snow hired attorney Brandon Sample to help him obtain halfway house placement. Daniel was originally approved for halfway house, but the Bureau of Prisons subsequently cancelled his halfway house release date. Brandon contacted the BOP, members of Congress, and other interested parties to help get Daniel's halfway house date reinstated. Listen to the positive things Daniel has to say about how Brandon was able to resolve his halfway house problems. This testimonial is provided by Daniel Muratella. Brandon represented Muratella in a 2255 motion seeking a reduction in sentence based on ineffective assistance of counsel at the trial level. Brandon succeeded in obtaining a resentencing at which Muratella's sentence was reduced by 30 months. This testimonial is provided by Mary Musso. Brandon represented Musso concerning extending her halfway house and home confinement time. Initially, the Federal Bureau of Prisons only gave Musso two months home confinement. After Brandon came on, they extended this to the full six months.